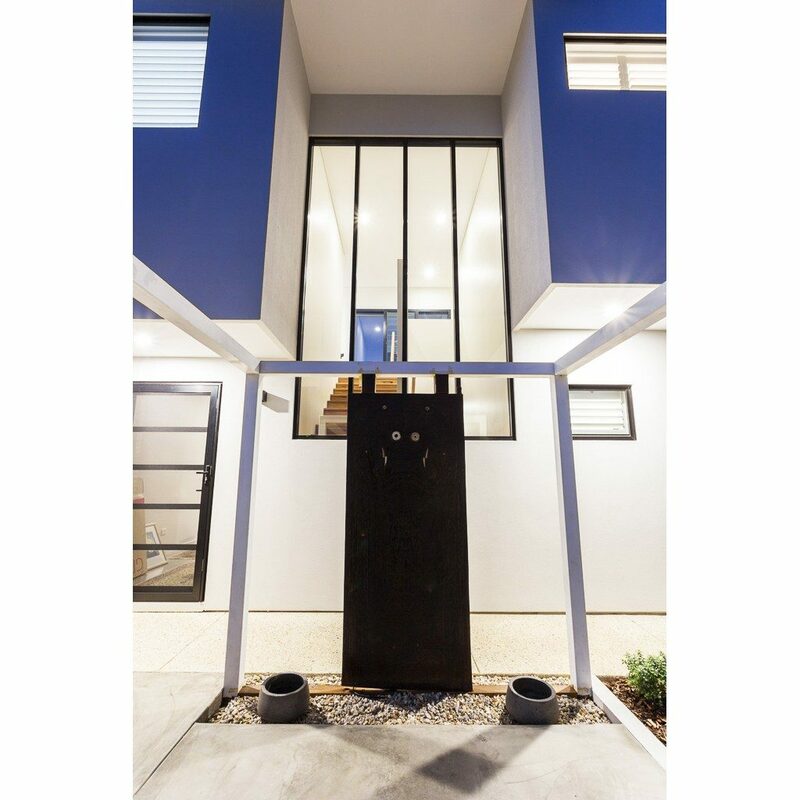 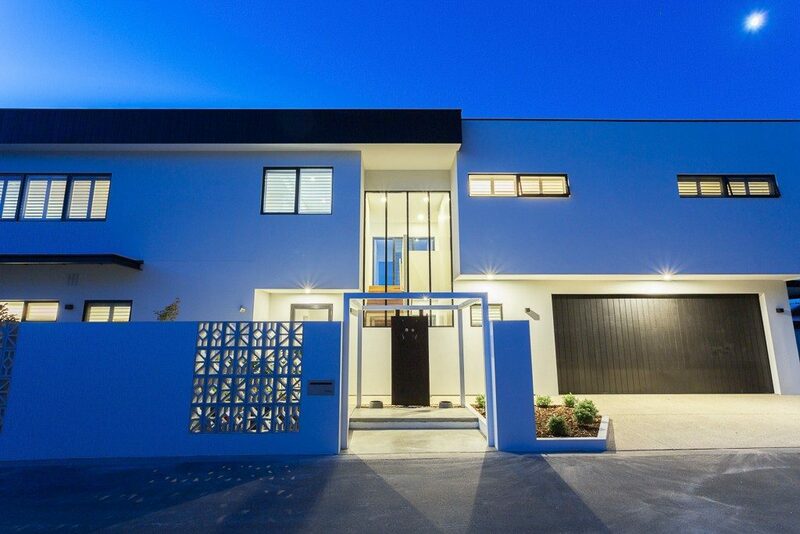 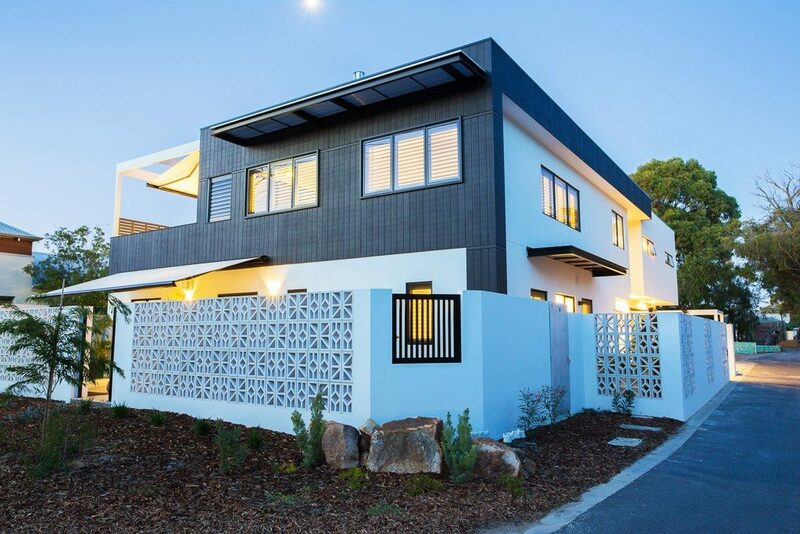 We worked closely with the owners of this home to bring their vision to life; they wanted a contemporary style two storey home with an external facade consisting of black and white contrasting colours and texture. This look was achieved with a combination of Masterwall, an external lightweight fibreglass reinforced, insulating wall cladding system and Shadowclad Natural Groove painted in a black speciality Resene paint. 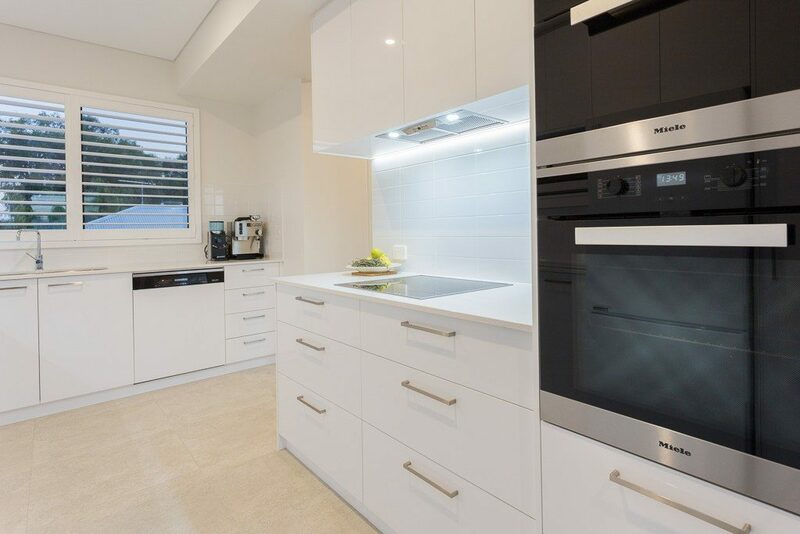 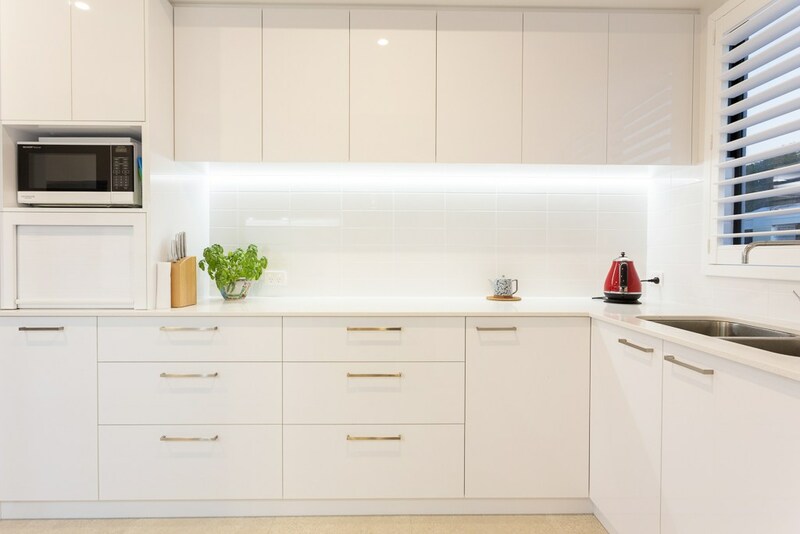 The Resene “Cool Colour” paint helps keep the coating, substrate and surface cooler, which minimises the heat transfer inside the home during the summer months.